2019 – the Year of LinkedIn in New Zealand? In New Zealand, use of LinkedIn has not yet seen the same uptake it enjoys overseas. 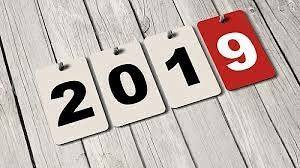 But I predict 2019 will be the year it emerges as the social media platform of choice for savvy businesses and professionals. I have observed an upswing in the number of professional Kiwis taking LinkedIn seriously. There are more local posts in my newsfeed, LinkedIn Local events have taken off nationally and I am receiving more invitations to connect from New Zealand-based 2nd degree connections than ever before. We are still miles behind the rest of the world, of course. Most Kiwi LinkedIn members still appear to have fewer than 500 connections (the average overseas is in the thousands, depending on location) and incomplete LinkedIn profiles. Few actively attempt to build authority in their area of expertise – which is one of LinkedIn’s great opportunities. However, while Kiwis are starting to see the advantages of using LinkedIn for their marketing, a myriad of myths persists: “You should connect only with people you know”, for instance. This is no longer true or even considered best practice. LinkedIn helps build credibility and authority, widens spheres of influence, and demonstrates commitment to community. And who wouldn’t want that?